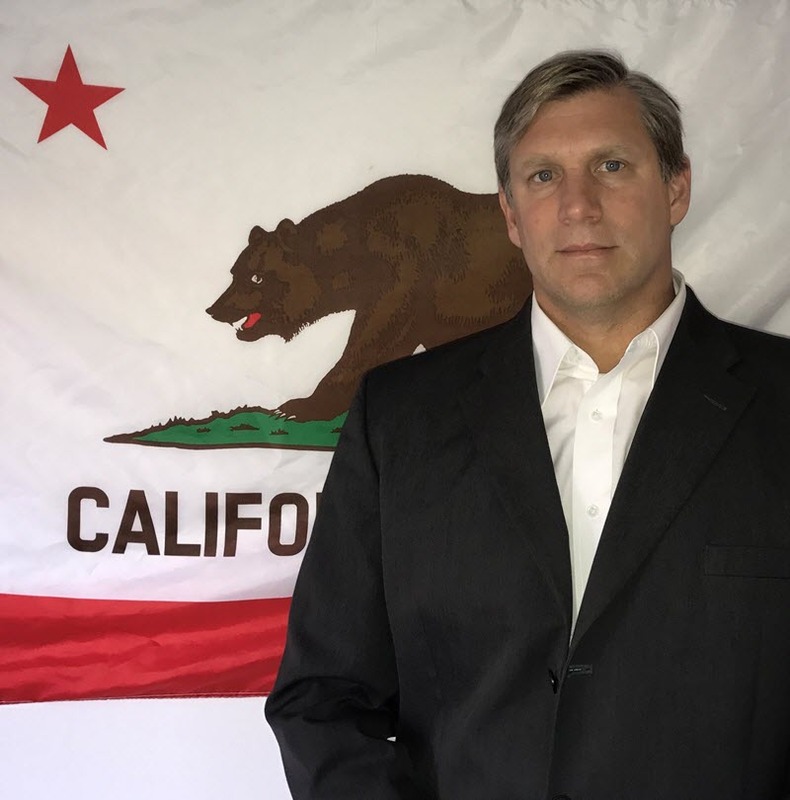 Zoltan Istvan: "We Will Overcome Death"
Transhuman Zoltan Istvan runs for Governor of California. The Transhuman movement aims to level up our species using science. Is death just another problem to solve? Could you explain in simple terms what the Transhuman movement is all about? Transhumanism is a social movement with tens of millions supporters around the world. We want to use radical science and technology to improve the human being and experience. It's everything from exoskeleton suits to brain implants to genetic engineering. Our #1 goal is overcoming human death with science. Is the prospect of cheating death a big appeal to you? Not whatsoever. For me, it's all about actually living and not dying. I see death as non-existence, so that's not appealing at all. I love life and simply want to continue living. Do you see death/senescence simply as a biological hurdle we haven’t evolved past yet? I see the body as a machine, and we can tinker with that machine and rebuild it. We will overcome death soon. We will retune the human machine. Are there any typical misunderstandings or obstacles that the movement comes up against? The main obstacle is religion. Most believers don't see a need to modify the human being and overcome death because their religion is either against that or will do that. But transhumanists are broadly secular, so we feel the need to pursue transhumanism, science and tech. Is the growing ubiquity of the Internet of Things as a step forward for civilisation, or a potential hazard? I think history shows clearly that technology and science broadly improve the world, and I expect that to continue indefinitely. So any progress is basically good progress. Considering we already have real life cyborgs, how long do you think it will be before we’ll be walking around with internet connectivity in our brains, and/or before we can upload our brains to internet? In about 7-10 years, it will be widespread that people will be using brain wave technology - either via brain implants or headsets - that allow us to connect directly to the internet in real time. We will be literally connected to the cloud. How did you yourself get involved with Transhumanism? Were you inspired by any works of science fiction? I was always a big fan of science fiction, but mostly when I worked at National Geographic as a journalist, I had a close call with a landmine in Vietnam, and it led me to want to use radical medicine to cure all ailments. This is of course the essence of transhumanism, so that's when I really became passionate about it. 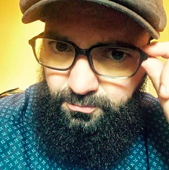 I was about 30 years old. Has anyone made any jokes about how a Transhuman Governor of California would be an obvious evolution from the Californian Governor who was the Terminator? And if so, is that a hot take or a tired gag? There are jokes made between Terminator and the former Governor and myself, but mostly it's in good fun. Your Wikipedia page says you invented volcano boarding; how did that come about? Did you methodically plan to be rad-as-f*** that day, or was it more of a happy accident? I was working for the National Geographic Channel and on assignment in Vanuatu, and if you snowboard like me, and see Mt. Yasur, it's an immediate reaction: I need to board down that. The volcano is pure pumice (very soft sand) on the outside. What makes it more dangerous than snowboarding is of course a spewing volcano right behind you that's occasionally raining down lava bombs. I was in Vanuatu covering tribes, but my producer gave me the go-ahead to do this new sport. I didn't really realize at the time it would spawn a new extreme sport - volcano boarding - that now is practiced all around the world, on various volcanoes where conditions are similar. Are there any parallels between your Transhuman activism and your Libertarianism? 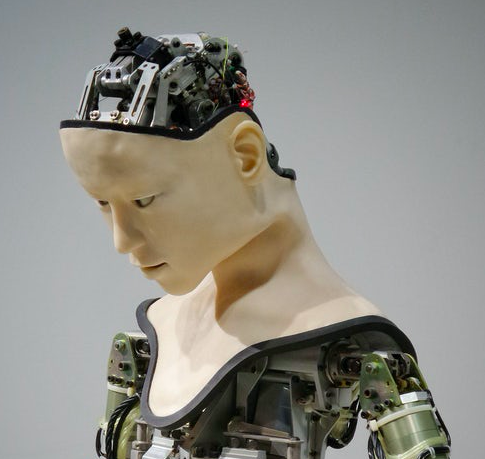 Will Transhumanism affect any of your policies? 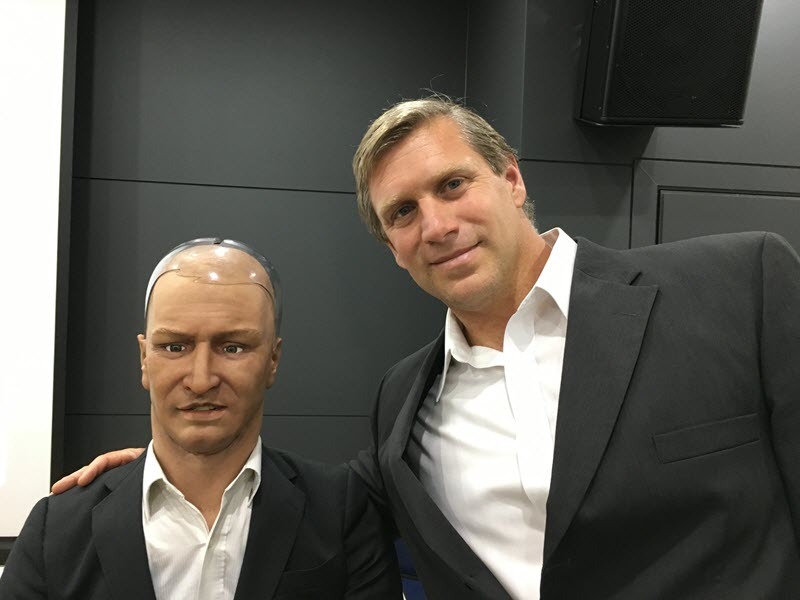 Will your policies affect Transhumanism? There's a strong correlation between transhumanism and libertarianism. Transhumanism needs freedom of science to innovate, and that's the essence of what libertarianism is: Don't tread on me. So libertarianism is an ideal political philosophy for transhumanism to operate under in order to grow into a world-wide mainstream social movement. Is it possible for Transhumanism to thrive under a Libertarian state? Where would the funding come from? It would be ideal for transhumanism to operate under a Libertarian state. Private enterprise would do all the funding for science, and there would be virtually no restrictions on this, so you could expect major innovation to thrive. Most of the best science and tech in the world is coming from private companies on the stock market. Are you for or against humanity pushing Artificial Intelligence towards a Singularity? I'd prefer not to have an AI that is independent of human consciousness; meaning I only want AI to become smarter than humans if I'm directly connected to that AI via brain interface (like if AI and humans are one and the same). Once I'm directly connected to AI, I'm happy to go through the Singularity. 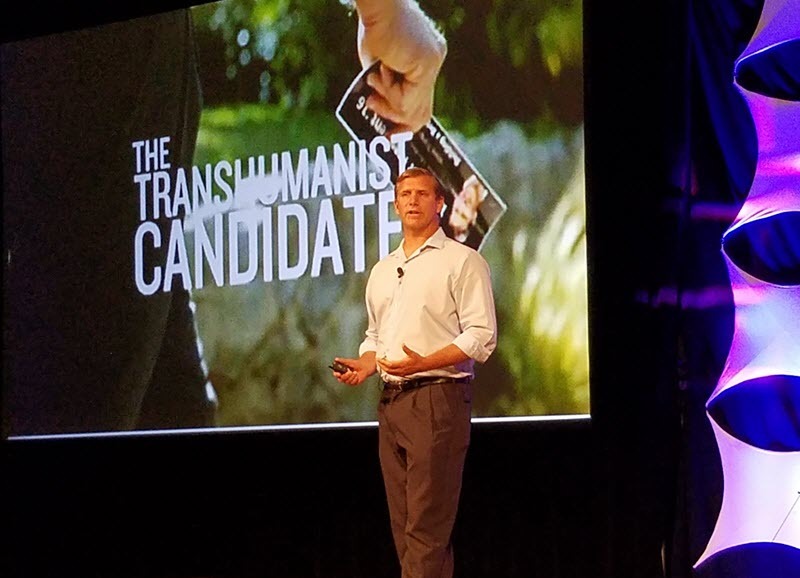 How can people become a part of the Transhumanism movement? The Transhumanism movement is like the environmental movement. You can just support radical tech and science ideas, and be a part of the movement. But to get really involved, you can join things like Transhumanist Parties, or even better, you can change careers to go into radical science and tech, like AI or genetic editing research. The movement could also use more journalists and media-savvy people in spreading its ideas. You can read more about Tranhumanism here - and you can make sure that you have the best Internet you can get by clicking here.